Feeling a bit weary I settled with pen and tile, finishing I had a little chuckle because it just reminded me of what I wanted to do......curl up in a pile of soft pillows! This is very cosy, nice soft pillows, a bed of leaves and your all curled up for a nap! So inviting! Very cute! 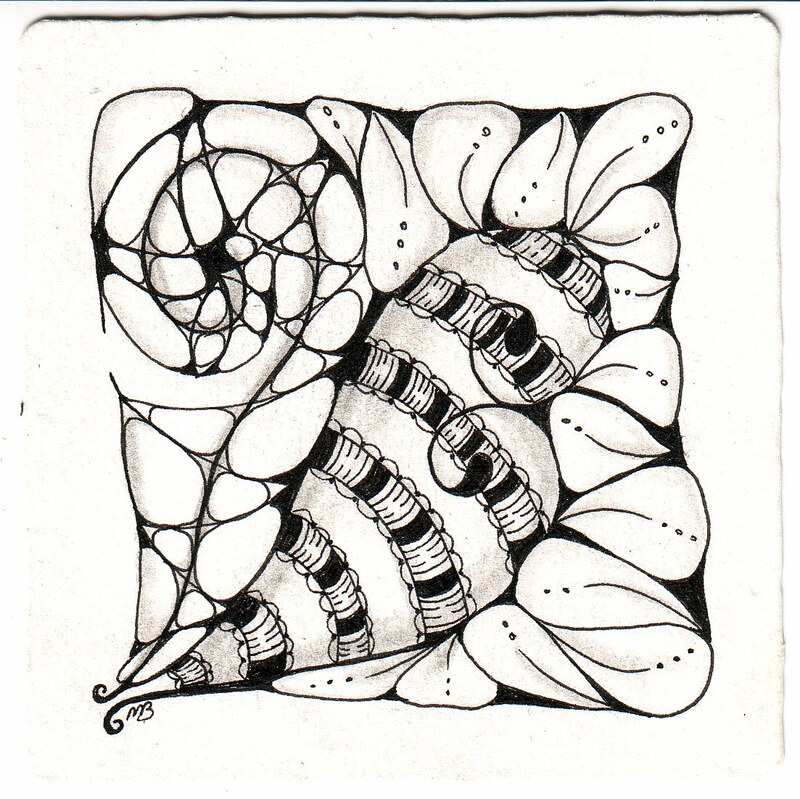 What day are you on in your zentangle goal. I just started tangling and am only on post 11. I think I need to male mine into 3.5" tiles instead of filling the entire page. Wow, I want a nap. I'm gonna go get my blankie. Definitely cosy. I like the spiralling N'Zeppel. 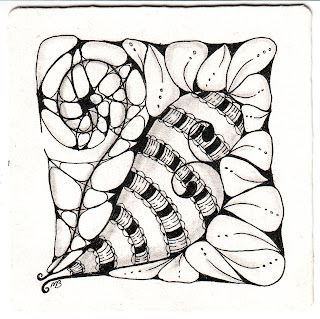 Dolores, this is Zentangle 364 but my year will be up on the 2nd March, this has been the best challenge ever.